New Delhi: Indian Air Force Friday said that an F-16 of the Pakistan Air Force was shot down by Wing Commander Abhinandan Varthaman during the 27 February air battle in the Nowshera sector and that they have electronic signatures confirming it. “During the aerial engagement that followed, one MiG-21 Bison of the IAF shot down one F-16 in Nowshera sector,” Air Vice Marshal R.G.K. Kapoor, assistant chief of air staff (Operations) said. He added the Indian army confirmed two sightings of ejections at two different places that day. “The two sightings were at places separated by at least 8-10 km. One was an IAF MiG-21 Bison and the other a PAF aircraft. Electronic signatures gathered by us indicate that the PAF aircraft was F-16,” he said. The statement by the IAF came hours after prominent American magazine Foreign Policy said that a US count of Pakistan’s F-16s reportedly found none of the jets “missing”, and all were “present and accounted for”. The finding by the US “directly contradicts” India’s claim that the IAF shot down a Pakistan F-16 during the dogfight over Jammu and Kashmir. On February 28, in a rare tri-service press conference, Air Vice Marshal Kapoor had told reporters that some parts of the engines and drop tanks shown by Pakistan didn’t belong to India’s downed MiG-21, which confirmed that an F-16 was hit. One of the pictures shows a MiG-21 Bison having crossed the Line of Control. At the time, the aircraft was in hot pursuit of Pakistan F-16s, and four blips showing four PAF aircraft were visible. Eight to ten seconds later, one of the PAF aircraft is no longer visible on the chart. “This indicates that the PAF aircraft went down,” a source said. Sources also gave details of the radio transmission picked up by the Indian military, which clearly shows Pakistan soldiers talking about two ‘parinda‘ (aircraft) and two ‘parinde wale‘ (pilots). In an intercept at 1242 hours on 27 February, a soldier of 127 Northern Light Infantry, Tandar, can be heard saying soldiers from 658 (Mujahid battlation) picked up a second pilot. The soldiers already had one pilot in custody at the time. At 1520 hours, another intercept says that while one pilot is in custody, another has been sent to the military hospital. “This clearly shows that a second pilot was also in their custody as mentioned by the ISPR chief and Pakistan Prime Minister Imran Khan. So if one was Abhinandan, then who was the second?” a source said. Besides the initial video of locals who said two pilots were caught, the sighting by the Indian army and videos showing two parachutes all indicate that a Pakistan jet was shot down. While the first parachute was seen in General Area Sabzkot, the second parachute was spotted in General Area Tandar. The distance between the two is about 5-6 kms, a source said. We must deny the false truth. But you are the journalist covering defense issues. It is also up to you to ask why in this air space, which is supposed to be well protected by air and ground forces, penetration of external air forces may have been possible. This is an important issue on which the air force official who speaks frequently must speak out. Should we think that there was a mess between the staffs? Do not we have anti-aircraft batteries in this area? These questions are hidden, and it is unfortunate, while we do not stop saying that we are able to fight in case of conflict also on the Pakistani sector, but also on the Chinese sector. Indian people should understand that the no america or any powerful nation will ever accept that an outdated indian plan crashed their advanced f-16..it will hamper their weapon sale to other countries.Moreover it is not an official statement of US but magazine where people can bribed. Within 24 hours of the dogfight and subsequent crashes, the Pakistani media sources posted pictures of the battered and stripped engine section of one of the jets. The IAF categorically said the engine didn’t belong to the Mig-21. Identification of the engine should be very straightforward. Neither Pak nor the US is talking about it – the US not coming out and saying that engine does not belong to an F-16. Why? After the US blockade of F-16s to Pak, Pak has been getting all its supplies and spares for the F-16’s from Jordan and Turkey. Pak could easily have got a replacement F-16 from Jordan or Turkey and no one would have noticed. The US is completely embarassed it lost a prized F-16 (which they tout as the world’s best air-to-air combat fighter) to an ancient Mig-21. They are afraid potential future buyers are going to suspect and question their claims and besides this, the US has a massive ego to protect. This was a magazine article probably planted by Lockheed, the maker of F-16s and not a claim by the US Military, Airforce or Intelligence. No body is buying F16s on date and the project has been scrapped. The best fighters in the world an be shot down because of pilot incompetence and it is not a case of fighter being bad. 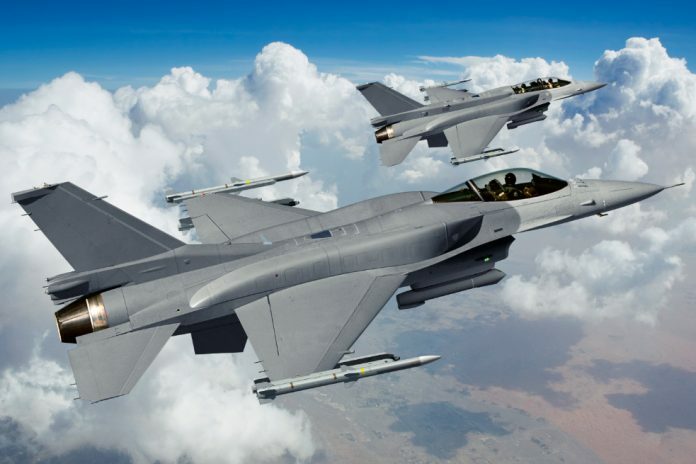 Any F16 whether bought for Jordan or Turkey needs US approval and has to be accounted for. That’s no F16, it is a Sukhoi Flanker. Please correct it at the earliest opportunity. Why not IAF show it’s evidence publicly and embrass not only pakistan but America. It is also related the valour of Abhinandan. Cause it cannot….that’s why. It will be exposed of lies and concealment of truth. SU 30 destroyed by PAF…. imagine that. The photo shows an Indian SU 30, not a Pak F-16 as titled.